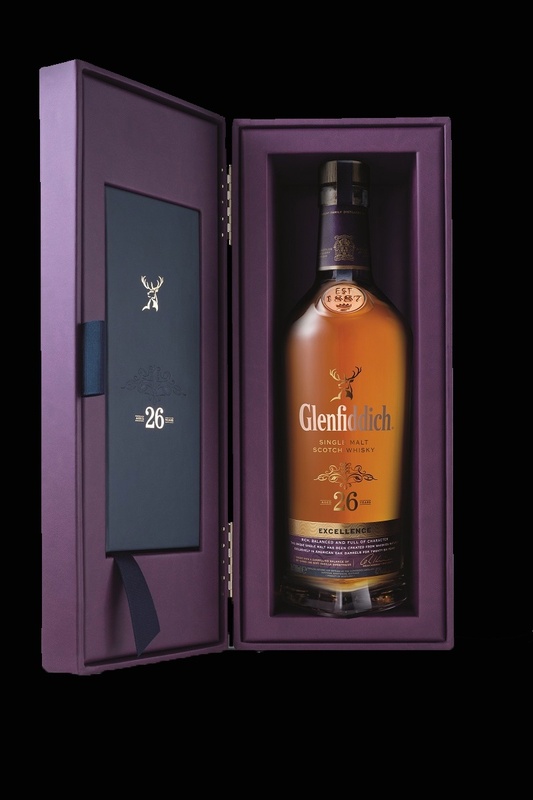 Glenfiddich Excellence 26 Years Old is aged entirely in American oak ex-bourbon casks, with no finishing. It’s actually the first whisky in the company’s permanent collection to be entirely aged in ex-bourbon casks. While it’s got Glenfiddich DNA through and through, this is a powerful spirit from the Speyside giant. The nose is intense with fruit — pears, apricots, and a dollop of orange blossom honey to sweeten things up. Fairly light oak notes emerge here as well. The body is a powerhouse to match the big nose. Intense honey character gives this the impression of a Sauternes-finished whiskey, with notes of vanilla, almond, charred wood, and roasted cereal grains coming along toward the finish. The body is rich and viscous, which adds to the depth of flavor and a quite lengthy finish. It’s not the most complicated whisky in the world, particularly considering its age, but its power and deep honey notes make it compelling in its own right.